Multi-generational holidays are growing in popularity, and with good reason. They are special times to step off life’s busy treadmill, bond, laugh and cherish amazing moments to create a lifetime’s worth of memories. 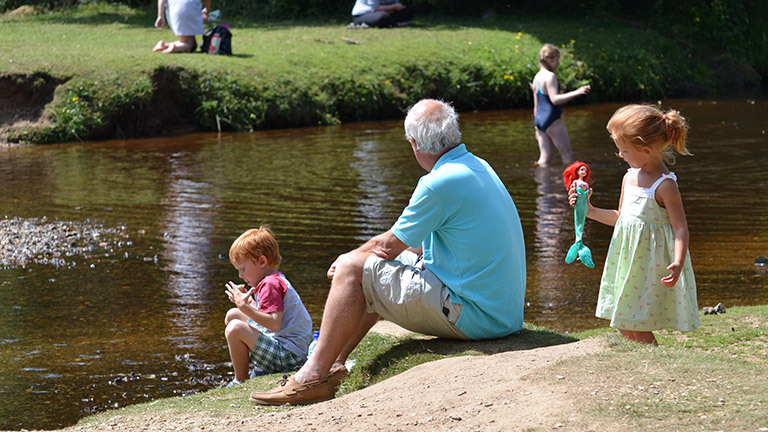 It’s worth noting that holidaying with multiple generations can be testing, so we have put together tips and advice to avoid shouts and pouts and help you enjoy a wonderful stress-free holiday in a New Forest cottage for kids, parents and in-laws. Does anyone want to feel like a dictator, or like they are on holiday with one? It’s essential that everyone from tiny tots to great-grandparents get to voice their wishes and what they would like to see and do. Tiffs and tears can be avoided if you sit down together first and talk through what each of you wants to get out of the holiday to make it a success. Navigating your family’s expectations is key, so taking everyone’s preferences into consideration is really important. It also builds excitement and goes a long way to ensure everyone has fun. Talk about meal times, what sort of restaurants to visit, figure out the finances, day trips – what you’d like to do together and what you’d like to do separately, as well as the all-important chill time. Being involved and, if need be, compromising at the planning stage means everyone is on the same page – so that if the unexpected happens, you are all happy to improvise. Your holiday home from home needs to be big enough for everyone to have privacy as well as social spaces to gather. A big table for meals together or playing board games is a good idea. A great garden for the kids to let off steam is probably a must, and maybe a games room too, which is as much a hit for Mums and Dads as it is for the kids. 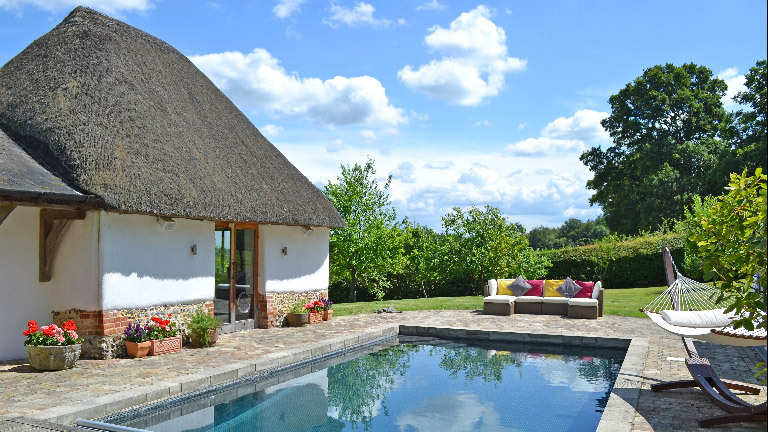 There are a number of New Forest multi-generational holiday cottages with private swimming pools which will keep everyone happily entertained. And don’t worry about having to leave your dog at home or adding to the holiday budget by having to pay kennel fees. There are plenty of dog-friendly New Forest cottages to choose from in our portfolio. Lighten the load and pack carefully by getting together and checking that you aren’t all taking the same thing. Do you really need to be packing the car with six hairdryers? There are plenty of essentials that can be communal, so make a list of who is bringing what. Also, check what your New Forest cottage already has, you’ll find that many of our properties are incredibly well equipped by thoughtful owners, and you find pretty much everything you want will already be there. 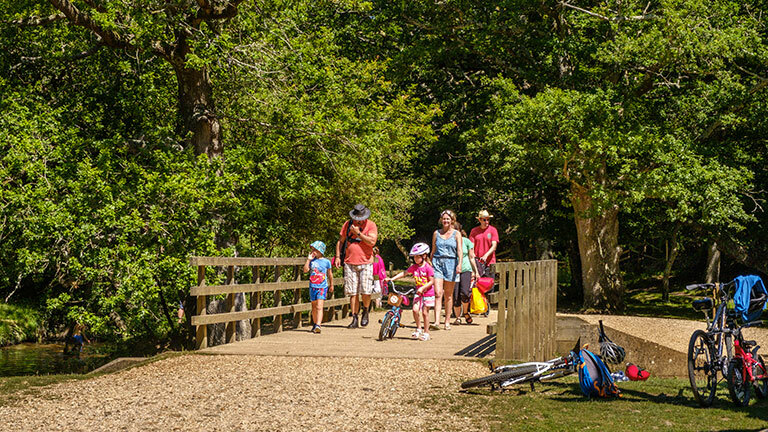 One of the best reasons to visit the New Forest National park is the vast array of attractions, days out, outdoor activities and events the region has which are suitable for all age groups. 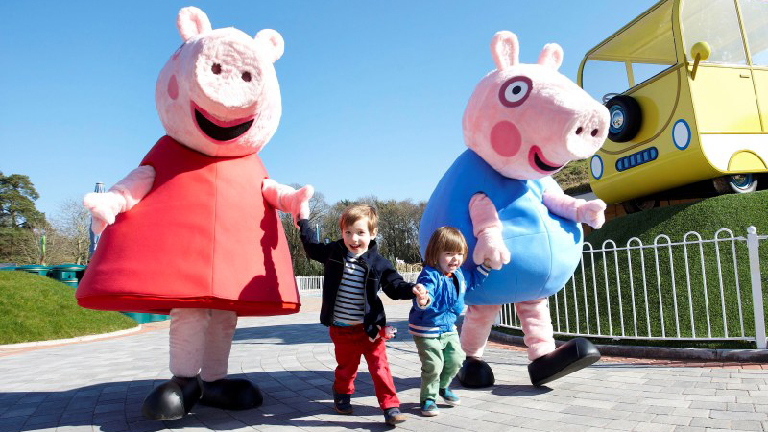 Children love Paultons Park – home of Peppa Pig World, Longdown Activity Farm and nearby Adventure Wonderland. Teens will like Battlefield LIVE – it’s like paintball but with lasers – so there’s no pain, and a trip to the dry ski slope at Snowtrax usually brings a smile. 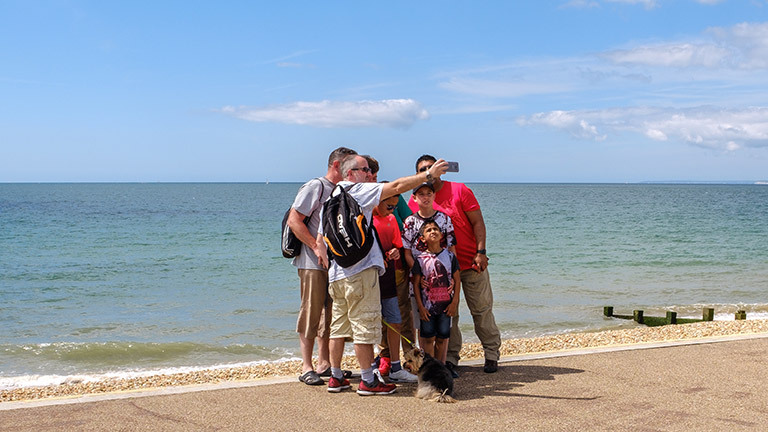 For photo opportunities of your younger ones having fun with the older teens, take them to The New Forest Water Park and relax with a coffee whilst watching them charge about on the UK’s first WIBIT inflatable sports aqua park. More sedate yet great days out together can be had at Beaulieu Motor Museum where you can see the real Chitty Chitty Bang Bang, James Bond cars and an amazing vehicle collection. Exbury Gardens house colourful displays of rare trees, banks of flowering borders and themed garden displays, and children love to ride the narrow gauge steam train. Not forgetting Marwell Zoo, Portsmouth Historic Dockyard and a vast number of Instagrammable beaches which are all just a short drive. Make sure you come back feeling like you’ve actually had a holiday, and not a frazzled wreck because you’ve been run ragged looking after everyone. Be mindful that scheduling every second of the day is exhausting for everyone and well-intended family dynamics can start to unravel if you are all tired out. Build in plenty of downtime and days when you go separate ways. Not every moment has to be magical, but the overall experience will be if you are all respectful of each other. If things do get fractious, remember ‘The Waltons’ was just a TV series and your holiday is real life. Tomorrow is another day. An idea to head off potential arguments or hurt feelings is to decide on some codewords as a gentle nudge to go with the flow and lighten the mood. If someone loads the dishwasher ‘wrong’, just accept it may not be wrong, it’s just a different way to you do it. If Grandparents spoil the children with sweets and chocolate, reconcile it’s a holiday treat and not doing any long term harm. And if the toilet seat is left up – well, just for the holiday, close the door so you can’t see it! Take loads of photos and lots of videos! Smile, laugh and cherish the holiday you are planning for memories to look back on with affection and fun.